Do you feel itâ€™s time for a make over followed by some serious tranquil day at the spa? Switch on your GPS from your blackberry and find your way to Clique. This place offers a very spacious and cosy setting that provides head to toe treatments from skincare, massages, slimming treatments, waxing and even a salon. Clique is one of those unique places that truly can identify what the customers really want and need. This is evident in their spa packages that focus on healing and relaxing treatments for both male and female who needs a 2 hour escape from the urban life. Packages like Stress Reliever, Pure Indulgence,City Escapes all includes traditional massages, body scrub, body mask and many other combinations of treatments. Also the fact that their prices are fairly reasonable, assures that you wonâ€™t be disappointed. Their professional and very friendly therapists will assist you to the private room where you can instantly forget all your stress and worries and begin one of the best spa treatments that Jakarta has to offer. One of Cliqueâ€™s favourite treatments, especially with the ladies,is their chocolate exfoliating body scrub and body masks treatment. For those suffering from dry skin and needs a serious moisture session we recommend the Honey Moisturising treatment that is heavenly. 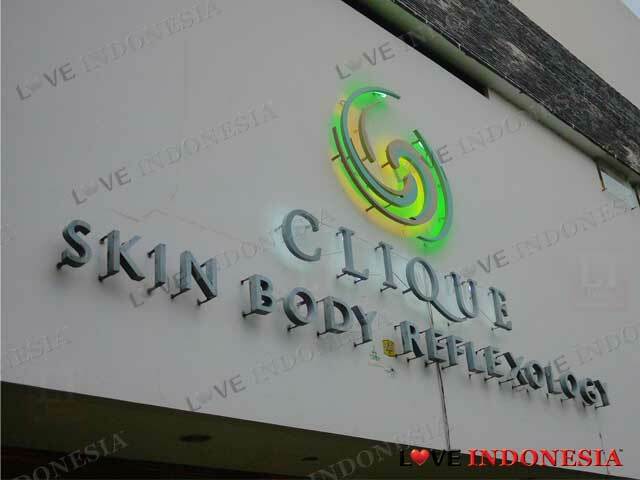 Donâ€™t miss out Cliqueâ€™s facial treatment as well, especially the Diamond Microdermabrasion facial that is a non-invasive procedure that promises to rejuvenates by removing the dead skin thus evening out the texture of your skin. After this treatment you will surely see the difference almost instantly. Clique also provides a pre wedding packages for brides and grooms that provide a 3 to 4 week treatments that will surely prepare the newlyweds to glow on their big day. Please make sure you make an appointment first, especially on the weekends. i had a great session of face accupressure here whilst my hubby liked their reflexiology session and my sister in law enjoys her frequent visits there (because it's nearby hilst we're living thousand of miles from gading, lol).